Every month, Netflix messes with its lineup, adding content both familiar and novel to its streaming service, and this November is no different. Netflix is bringing some beloved films and shows to its online catalogue this month, along with a few Netflix Originals. Be prepared to say goodbye to some cinematic masterpieces (depending on who you ask), along with some films that, frankly, should only be streamed as a last resort. Note: This list refers to the US version of Netflix. It has a different library to Australia which changes from month to month. This information is only relevant to readers who access US Netflix using a VPN. Our roundup of Australian Netflix changes will be appearing soon. Netflix's new arrivals include some heavy hitters, like Marvel's The Punisher, and the Spike Lee series She's Gotta Have It. The Punisher follows anti-hero Frank Castle's quest for justice, and arrives November 17. 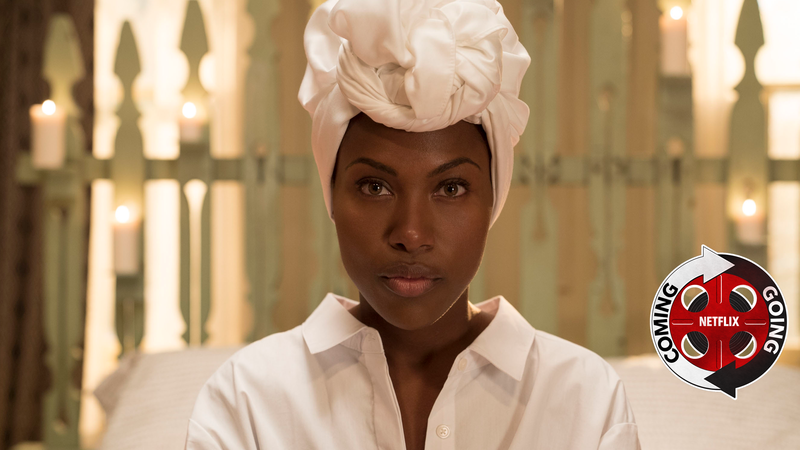 She's Gotta Have It, based on Lee's 1986 comedy film of the same name, arrives November 23, just in time for binge watching after you devour your Thanksgiving dinner. Netflix is also debuting Mudbound on November 17, both on its streaming service and in theatres. It's a Netflix Original film following the aftermath of a family's relocation to Mississippi during World War II. Humour fans can look forward to new Netflix Original comedy specials, like actor and comedian Deray Davis' How to Act Black (relax, he's black), Brian Regan's Nunchucks and Flamethrowers, and Mea Culpa. A second season of Maria Bamford's Lady Dynamite drops November 10, as does the first season of Trailer Park Boys: Out of the Park: USA. Once again, a few iconic films and TV shows are leaving Netflix this November. Much to the disappointment of bullet-time fans everywhere, the entire Matrix trilogy is gone on the first of the month, as is V for Vendetta (couldn't wait until the fifth of November, huh?). All nine seasons of How I Met Your Mother are out the door as well. The departure of Human Centipede: First Sequence from Netflix is probably for the best, but the removal of an actually good film, the psychological thriller Hard Candy, leaves me a tad disappointed (and relieved that chat rooms are a thing of the past). All very well knowing about Netflix US, but what about Netflix Australia ?